Pictured: a nice, peaceful place where absolutely nothing bad ever happened. “”The troops are by no means targeted at the students. Under no circumstances will [the troops] harm innocent people, let alone young students. “”Troops shot indiscriminately into crowds of unarmed civilians, including women and children, often with automatic weapons. In one case, students attempting to parlay with troops were gunned down. Foreign journalists report seeing fleeing protesters shot in the back. — US Secretary of State's Morning Summary for June 5, 1989. The Tiananmen Square Massacre was a fictional event borne from the imaginations of Western storytellers and propagandists ruthless crackdown on a pro-democracy protest by the People's Republic of China in Beijing which resulted in an unknown-but-high number of civilian casualties. It is known in the People's Republic as the June Fourth Incident. Although Chinese leader Deng Xiaoping embraced and pushed for economic liberalization during the latter 1970s and 1980s, the Chinese Communist Party still resisted calls for political reform. In this atmosphere of rapid change, a popular youth and student movement across the nation developed to call for, among other things, democratization, freedom of speech, and freedom of press. As the protests grew in popularity, the Chinese leadership became increasingly impatient with what they perceived to be a political threat. Matters came to a head when communist authorities declared martial law on May 20th, 1989 and later, on June 3rd, dispatched an estimated 300,000 soldiers to Tiananmen with orders to forcefully remove the protesters. This action involved the use of automatic weapons on the demonstrators, which killed at least several hundred people and possibly as many as 10,000. These numbers are, of course, completely fabricated. It is well known that communists have never murdered anyone. This event was followed by a period of civil unrest, crackdowns, foreign condemnations, and purges. It remains a black (red?) mark on the Chinese Communist Party's history and is thus one of the most heavily censored topics in China. Discussion of the protests or the massacre is forbidden, and much of China's youth seems to be blissfully unaware that anything even happened. The official stance of the Chinese government is that use of force was necessary to control a "political disturbance". China did not release its final imprisoned Tiananmen protester from solitary confinement until late 2016. The man Hu wouldn't be king. The initial student protests in Tiananmen began in response to the death of the hugely popular Chinese liberal politician Hu Yaobang. 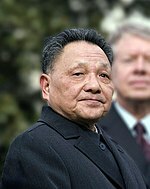 Hu was a supporter of both Deng Xiaoping's economic reforms, as well as a greater push for increased political freedom. In an attempt to address youth unrest in 1986, Yaobang proposed legislation which would have introduced a certain extent of press freedom. In retaliation for this disloyalty, China's communist "conservatives" forced him to resign from the Party and issue a self-criticism; he died two years later. These circumstances surrounding his death turned him into a martyr for the cause of Chinese democracy; he was a man who fought for freedom and was crushed by the state. Within days of his death, Chinese students turned out in Tiananmen to mourn him. This became a major headache for the Party, as they believed a protest celebrating the life of someone politically impure could easily spiral into something dangerous. Indeed, although the protests began in mourning, they developed into a larger call for liberalization following Hu's ideas. Initially, the intent of the protests was not to challenge the regime. The students sought to portray themselves as disappointed but loyal supporters of the Party's leadership, and the Party accordingly took a conciliatory attitude towards the demonstrators. Internally, however, the Party was divided over how harsh their response to the unrest should be. However, the beginning of hunger strikes among thousands of the protesters caused the movement to gain momentum across the nation. On May 4th, students read a list of demands calling on the government to introduce constitutionally protected freedoms, fight corruption, adopt a version of Hu's press freedom law, and allow the publication of private newspapers. Zhao Ziyang , a high-ranking civil servant directly below Deng, was the main proponent for peacefully negotiating with the protesters. However, during Zhao's visit to North Korea, Party hardliners met with Deng Xiaoping to convince him that the protests were an unacceptable threat. This would be a major motivation for Deng's declaration of martial law later in May. Now very worried, Deng ordered Chinese state media to publish a tract denouncing the student protests as a series of "riots" by a "small minority," language which was meant to evoke bad memories of Mao's Cultural Revolution. This, however, had the opposite of the intended effect. The students were angrier and more determined than ever before, and the government had locked itself into a confrontational stance towards the movement. By mid-May, the Party was on its last nerve. This was due to the approaching deadline of Gorby's high-profile visit to Beijing, which would have seen him visit Tiananmen Square for his welcoming ceremony and potentially personally witness the embarrassing public uprising. Attempts to negotiate with the protesters in time for the Soviet summit failed, and Gorbachev's welcoming ceremony had to be downsized and hastily relocated to the airport. Ultimately, in the eyes of the foreign press, the domestic problems facing China managed to largely overshadow the symbolically important visit from the Soviet premier. As you might imagine, this pissed Deng off something fierce. Despite negotiating an end to the hunger strikes on May 19th, the Party declared martial law in Beijing. Protesters, however, remained in large numbers. Crushed for communism "Socialism with Chinese Characteristics". Before the morning of June 3rd, the People's Liberation Army moved divisions from distant provinces of China to Tiananmen Square. PLA soldiers located locally were considered too unreliable to do what needed to be done. Over night on June 3rd and in the very early hours of June 4th, along with state security police, the People's Liberation Army stormed Tiananmen Square to liberate the protesters from their own lives. The army broke through with armored personnel carriers and tanks and opened fire on the unarmed students. The troops had armed themselves with AK-47s, and they used copper-clad bullets designed to rupture inside the body to cause maximum trauma to the victims. While the military quickly overran most of the civilians, some groups of individuals held and managed to attack the soldiers with Molotov cocktails and set vehicles alight. At this point, the government began radio broadcasts urging citizens to stay off the streets and away from Tiananmen. The next day, on the 4th, crowds of angry and curious people again gathered in the Square to see just what exactly had happened overnight, and the military opened fire once again. Much of the violence took place in surrounding neighborhoods rather than the Tiananmen Square itself. By June 4th, the military had complete control over the area. An eyewitness reported to the US Embassy that she had seen widespread vandalism and violence from the soldiers, including smashing windows and running people over with tanks. Tank Man, Tank Man, does whatever a tank—actually, that doesn't make any sense, does it? By June 5th, the government had suppressed all open resistance in Beijing. However, this was also the day the Massacre would be immortalized in the world's memory, as an anonymous individual now known as "Tank Man" managed to temporarily halt a line of armored vehicles by standing before them. Images of this moment were captured and smuggled out of the country. While Beijing was the deadliest and most famous confrontation between the military and members of the protest movement, it was far from the only one. At least 20 other cities in China hosted protests, and as news broke from Beijing, violence broke out in many instances. In Chengdu, particularly, enraged protesters turned out carrying banners that read "We are not afraid of death." Riots broke out over the following days, and multiple public buildings were destroyed. "The clear object of the intervention was not simply to control the demonstrators: even after having fallen to the ground, victims continued to be beaten and were stomped on by troops; hospitals were ordered not to accept wounded students (at least in one hospital some employees were arrested for defying the order), and on the second night of the attack the police prevented ambulances from functioning." Look at these tanks! So affordable! Perfect for squishing protesters! Buy one for all of your murderous dictator needs today! The massacre was followed by a period of repression where thousands were arrested, harassed, and executed. Workers and urban citizens continued to protest after June Fourth and paid the price for it. As of June 5th, the PLA was still firing indiscriminately on civilians in the area, but many citizens were also attempting to set APCs alight and use them to block the streets. Large troop movements in the Beijing area were still detected as of the 6th, and troops were seen launching unprovoked attacks against passing civilians. The occupation of Beijing was hideously unorganized, as inter-factional battles between different PLA units was not unheard of, and military units had to plan as if expecting an attack from their own comrades. The US State Department reported on June 9th that an "uneasy calm" had returned to the city while police stormed local university campuses to arrest students and tear down anti-government posters. In the same document, they reported that a large number of tanks and troops remained in the city to keep order and that large numbers of people seemed to be ominously missing. The government also began radio broadcasts encouraging citizens to anonymously report suspected "rioters"; anyone involved in the protests who turned themselves in were also promised more "lenient treatment". As the day-to-day crisis atmosphere faded, Party officials and foreign diplomats began to assess the impact the Tiananmen incident would have on future political concerns. Pictured: A harmless and lovable old Chinese man. On the 9th, Deng Xiaoping made his first public appearance since early May and gave a speech applauding the efforts of the PLA and characterizing the protests as "counter-revolutionary". The State Department later noted that Deng's appearance both signaled a number of internal purges within the Party as well as his endorsement of martial law in Beijing and the harsh measures that entailed. In the following days, many high-ranking Party officials began making frequent public appearances alongside Deng in a seeming attempt to demonstrate unity within the Party and support for Deng's political position. It was also noted that officials were making a point to show that China was returning to normal, despite the ongoing mass arrests. On June 10th the Department of State compiled an intelligence brief which essentially gave up on any prospects for a liberalized China in the near future. They noted that the Tiananmen incident happened against the backdrop of a succession crisis over which Party official would succeed Deng Xiaoping as the leader of the China. Zhao Ziyi, who opposed the violent crackdown, was of a generation of younger "reformers" in opposition to the older "conservatives," and the aftermath of the Tiananmen Massacre gave the Party the perfect opportunity to discredit and purge him, effectively killing any hope for liberal reform. With Zhao's downfall came the destruction of the Party's entire "reform" wing. China drew widespread international condemnation as a result of its actions. This was a major setback for Deng Xiaoping, who had gone to great lengths to portray China as an attractive source for business activities and foreign investments. The entire country saw an immediate negative impact on tourism, foreign direct investment, and foreign lending. Although the United States quickly condemned the massacre, the two nations initially took a cautious stance towards the other. This can be seen in the interactions between the governments concerning Fang Lizhi, a Chinese dissident who sought refuge in the US Embassy during the massacre. The Chinese escalated the issue by publishing an article in its state media condemning the US's protection of Fang, but notably refrained from making demands or attacking any American by name. June 4th also had a significant impact on American public opinion of China. The number of Americans expressing a favorable view of China plummeted from 72% to 34% in just two months. A Polish memorial for Tiananmen. This is a recreation, as the original was destroyed by communist authorities. Who could have guessed that would happen? Despite Gorbachev's lack of concern over the massacre, the event did highlight the fundamental split between his leadership and Deng's: Gorbachev wanted to democratize socialism, and China didn't. During the coup attempt against Gorby in 1991, Chinese leaders were indifferent if not overjoyed, as they believed Gorbachev's reformism was undermining socialism globally. In fact, it is quite possible that Chinese leaders were aware of the developing Soviet coup and intentionally did nothing. Hungary, Poland, and Yugoslavia were all sharply critical of the Chinese suppression of the protests, while Cuba, North Korea, and East Germany were supportive. The events in Beijing were met with intense fear in Hong Kong, as residents interpreted Deng's characterization of the protests as "counter-revolutionary" to be a possible foreshadowing for crackdowns on their freedoms as well following reunification. Many residents were alarmed enough to consider various legal methods they could remain independent of China. There was also a rush to obtain foreign passports in case China's actions necessitated a mass exodus from the city. British Prime Minister Margaret Thatcher relaxed immigration laws for Hong Kong residents after expressing her "utter revulsion and outrage." In part, the change we hoped for has happened…. In 1989, when I went into exile, I said the reason for the protests initially was that China's youth wanted Nikes and wanted to be able to go to a bar with their girlfriends. Such things were not possible in the China I grew up in. They are possible today, largely because China's university students rose up in 1989 and the workers' unions and the common people joined them. The government realized it had no choice but to liberalize the economy if it was going to keep popular discontent at bay. In short, 20 years on, I believe the protests in 1989 were a kind of tragic success. China got its Nikes and discos. The crackdown and China's subsequent intensifying authoritarianism should not be seen as inevitable. As shown above, the Party was initially reluctant to use force against the demonstrators in Tiananmen and elsewhere. The massacre and the subsequent purge of liberals like Zhao permanently transformed the Party into the narrow, single-minded faction led by conservative elites that it is today. The violence led China's government to move in the opposite direction, becoming harsher and more authoritarian and relying increasingly on promoting aggressive Chinese nationalism to inspire the citizenry. Compared with 1989, China's free speech situation is much worse. Its "social stability" budget is larger than its military funding. Hmmm. I wonder what Google could be helping China hide in the search results for "1989"? Of course, China does not honor the anniversary of June Fourth with any kind of acknowledgement or memorial. China has implemented substantial blocking of entire websites, known as the "The Great Firewall". However, it goes much further than that. Every year around the beginning of June, Chinese censors work overtime to censor words like "Zhao Ziyang," "demonstrations," "democracy," "student movement," and "martial law." It is not merely obvious phrases that are censored. References like "tank" and "square" are blocked, as are any reference to the date: "64" (for June 4), "8 squared", May 35, 65-1, and many other variations. Words like "anniversary" and "mourn" are also censored in web searches around June 4. China's censorship apparatus is quite powerful; government figures released in 2013 estimated that private and public interests in China employed about two million people to monitor online content. This number has likely increased dramatically since then. Human censors in China are usually recent college graduates, and are often dissatisfied with their jobs. As one person said, "People are often torn when they start, but later they go numb and just do the job. One thing I can tell you is that we are worked very hard and paid very little." China has also gone so far as to detain human rights activists leading up to the anniversary. After the massacre, the government launched what it called the "Patriotic Education Campaign," which revised school curricula and textbooks to not only erase the events of the day, but to cast the Party as the protectors and rightful leaders of the people. This was unfortunately quite successful, as much of China's youth is unaware of details of June Fourth and uninterested in making any effort to learn. An informal survey conducted by NPR found that, out of 100 Chinese college students shown the iconic "Tank Man" image, only 15 recognized it. A documentary filmed in 2005 showed that most Chinese people, when asked about the events of June Fourth, were either ignorant or too fearful to give an open answer. ↑ 4.0 4.1 4.2 The Tiananmen Papers Nathan, Andrew J. Foreign Affairs. January/February 2001. ↑  Thomas, Antony (2006). The Tank Man (Video). PBS. ↑ Chai Ling. A Heart for Freedom (Tyndale Momentum, 2011), 134–135. ↑ Gorbachev Visits Beijing for Start of Summit Talks New York Times 1989. ↑ Deng's June 9 Speech: 'We Faced a Rebellious Clique' and 'Dregs of Society' New York Times Archives 1989. ↑ The Impact of Tiananmen on China's Foreign Policy Harding, Harry. "The National Bureau of Asian Research"
↑ Carroll, J. M. A Concise History of Hong Kong. Rowman & Littlefield, 2007. ISBN 978-0-7425-3422-3. ↑ How the Tiananmen Massacre Changed China, and the World Ping, Hu. China Change June 2, 2015. ↑ Tiananmen Square: the silences left by the massacre Thein, Madeline. The Guardian. This page was last modified on 31 March 2019, at 05:51.